Hardwood flooring presents a combination of beauty and durability that you would rarely have on a flooring type. 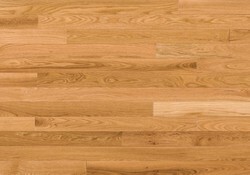 Hardwood flooring comes in Maple, Pecan, Beech, Cherry, Oak, Pine, Birch, Walnut, Hickory and more. 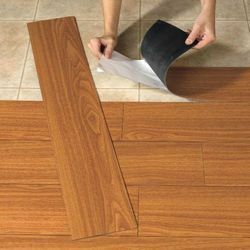 This type of flooring provides a long-lasting product, wear resistant surface that could be refinished if necessary. Size/Dimension: 4" x 0.75" & 5" x 0.75"
Price including everything like product price, installation charges, etc. Solid Wood represents a homogenous construction of wood. The product is too efficient for expansion of engineered wood and therefore it is seasoned well to allow for such expansion. Solid Wood flooring comes pre-finished. We are obliged in offering premium quality Wooden Flooring For Stair that is available in various specifications by our clients. We are one of the leading providers of Oak Flooring. So as to accomplish high level of customer trust, we are keenly betrothed in offering a broad consignment of Solid Hard Wood Flooring. We offer our respectable customers premium quality Engineered Hardwood Floors. These products are manufactured by our experienced professionals using finest quality timber. Our range is offered to respectable customers in a spectrum of specifications as per their requirements at industry leading prices. The patterns and color variations created in a living tree are like all of nature - never repeated. Naturally occurring wood characteristics such as knots, variations in grain and color are inherent characteristics of wood. Available in thickness of 9.5 mm and width of 76.20 mm, Solid Hardwood Flooring is available in random length from 304.80 mm to 1219 mm with area per box is 1.857 sq. mtr. Since the day we have come into existence, we are highly engaged in trading Hardwood Flooring across the nation.